Facebook’s general modus operandi over the past few years has involved trying to expand its territory which involves coopting some of the features that are being offered by its competitors in an attempt to rise to their challenge. After its forays into the worlds of video streaming, Facebook seems to be upping the ante in order to compete even more strongly with the likes of YouTube as well as Twitch, a newer live streaming platform that has given even the juggernaut that is YouTube a run for its money and has forced some competition into the market at last. Facebook is competing with Twitch and YouTube by introducing the gaming tab on its main platform. The primary use of this tab is apparently to find games that you can play with your Facebook friends, clearly an attempt to boost the potential socialization options that you can get on the platform, but the gaming tab is actually a lot more than that. It also leads you to live streams of gaming that are being broadcast to the platform, much like the streams you end up getting on Twitch as well as YouTube. "Each month more than 700 million people play games, watch gaming videos, or engage in gaming groups on Facebook. ", claimed Vijaye Raji Facebook's Gaming VP, in a blog post. Promoting the gaming tab is not going to be enough, though, because of the fact that YouTube and Twitch already have dedicated followings so there is no incentive for both streamers and viewers to make their way to this new platform. Facebook knows this, so it is promising streamers better monetization options. 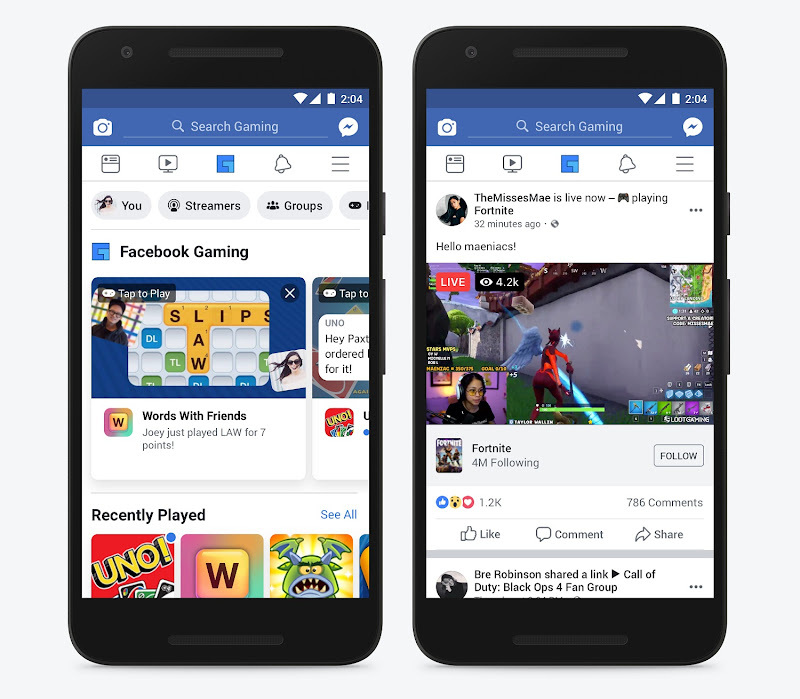 Streamers often get their money from sponsorship, however, and monetization does not help with that so it is unclear as of right now whether Facebook’s new gaming streaming tab will be successful or not.